LifestylesatHome is part of a thriving business that has been supplying top quality, branded 'reader offer' products to national newspapers for over 25 years. Now we're able to bring you the same leading brands at the lowest prices, through our new online shop. We don't just offer you the best brands; we go out of our way to make sure you get the best deals too. 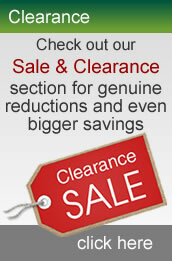 You'll find guaranteed low prices, as well as a range of extra value Clearance Items. Many of our staff have been with us in the mail order business for over 20 years. They're experts on our business and our products. And they shop online like you, so they are as concerned about good service as you are. If you have any opinions about what we're doing - right or wrong, contact our friendly, experienced Customer Care team on 01527 461231.